Universal Newsline - Business, Lifestyle, Entertainment : Step up to Fusion Fashion this Diwali! Mumbai, 14th October, 2014 : While some popular TV stars may have chosen to merge sherwani-jackets, dhoti style pants with western formal shoes, leading men’s footwear E-tailer brand, Famozi, has been quick in stepping up to the fusion fashion mood. 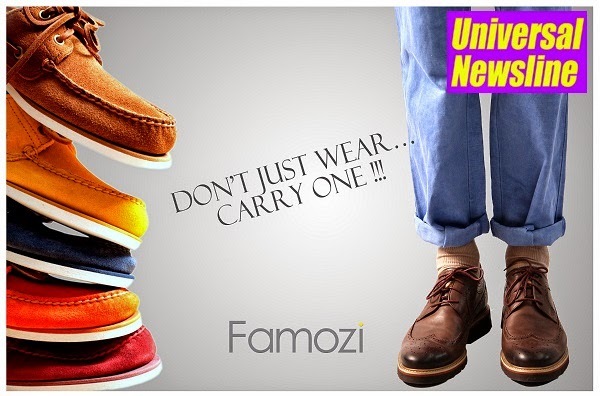 The latest from Famozi includes its range of quasi western footwear for Diwali! As unconventional fashion gets bolder this Diwali, celebrate the festival of style and grandeur with Famozi’s Fusion collection which is stylish yet elegant and comfortable to wear. Choose from an exclusive range of quirky colours, elegant textures, and stitch pattern loafers.